Slot machines have been evolving ever since they were invented in the late 1800s. But never before have we seen such detailed and advanced slots as the ones available today. This is especially the case with online and mobile slots, where players can enjoy more gameplay options, features, and bonuses than ever before. The great thing about this is that modern slots are more detailed and sophisticated. But the downside is that beginners will find it harder to jump in and start playing. That said, we’re going to cover everything you need to know about playing online slots, including the basics, betting options, gameplay options, and features. We’ll also discuss the different ways that you can play internet slots. Both land-based and internet casinos were once ruled by 3-reel slot machines. These games are nice for beginners because they contain minimal betting options and rules. But today’s casinos are filled with detailed 5-reel slots. Both game providers and casinos have found that modern slots players are sophisticated and demand more from their experience. This makes it harder for new players to adapt. But you should have an easier time after reading this section on the basics of playing and gameplay options. Please bear in mind that the rules for playing online slots can change from game to game. But most slots have a basic playing process that’s easy to follow. Choose your betting options – The first thing you want to do is select your preferred betting options. The reason why is because you don’t want to wager too much on each spin. We’ll cover the different betting options later in this section. Select the Spin button – Once your betting options are set, choose the Spin button to start the round. In most cases, the Spin option is located in the lower-middle part of the screen. The game evaluates your spin – The software will check for any potential wins at the conclusion of your spin. You can earn multiple wins in the same turn when you’re playing multiple pay lines. Adjust your betting options or play again – When a spin concludes, you’ll have the opportunity to change your betting options. Or you can keep them the same and select Spin again. As you can see, the process of playing slots isn’t hard. But these are just the steps to completing spins, and the options are where things can get confusing. Betting options let you change everything from pay lines to how many coins you want on each line. The purpose of this is to allow both low and high rollers to wager exactly how much they want on each turn. Coin denomination – Adjust how large you want each coin to be. Pay lines – Choose how many pay lines you want to activate on each spin. The more lines you have, the more chances you’ll have to win. Coins per line (a.k.a. bet level) – Put multiple coins on each pay line. Gamble option – Some slots have a gamble option that allows you to play a mini game with a chance to double or quadruple your winnings. Oftentimes this involves a simple card game. Autoplay – This makes the reels spin automatically with your selected betting options. Autoplay is nice for occasions where you don’t want to continually select the Spin button every time. Stop Autoplay options – Some games have options that you can use to determine when Autoplay ends. These include stopping Autoplay after a certain number of spins, a big win, certain amount of losses, or a specific amount of winnings. Gameplay options are good for customizing your slots experience and viewing detailed information on games. Here are some common gameplay options. Volume – Allows you to turn the game music up and down. Sound Effects – Turn the sound effects off and on. Speed – Determines how quickly spins play out. Graphics quality – Lets you change the graphics quality to low, medium, or high. The low-quality graphics are good for slow PCs and mobile devices. Pay table – See how much each symbol pays. You can also check out special symbols on the pay table screen. Help screen – Takes you to a screen where you’ll see game rules and other information. So far we’ve covered how to play slots, betting options, and gameplay options. But another helpful aspect to beginning players is knowing the different features. After all, the special feature are sometimes more puzzling than the betting options. Let’s take a closer look at special symbols and bonuses that you’ll see in online slots. A lion is the wild symbol. 3 elephants form a qualifying payout. You land 2 elephants and 1 lion in a pay line. The lion substitutes as a third elephant to give you a win. Wilds substitute for all regular symbols to form payouts. But they normally don’t substitute for scatter, multiplier, and bonus icons because these symbols have their own special functions. You’re playing a game with a 5x3 grid. The 3 indicates that columns are 3 spaces high. The stacked wild would take up a 3-space column. Obviously this is good because it gives you more wild symbols and additional chances to form wins. An expanding wild is essentially the same thing as the stacked version because it fills an entire column. But the main difference is that an expanding wild starts as a regular wild, then expands to fill the column. Random wilds can appear anywhere on the reels after a spin is finished. Going further, certain in-game actions cause regular symbols to turn into wilds. You’re playing a game where snowballs can hit the reels. When a snowball hits a symbol, it turns wild. 2 snowballs hit the reels. You now have 2 random wilds where the snowballs landed. A wild symbol normally only stays onscreen for the spin in which it occurs. But a sticky wild remains onscreen for multiple spins. This is often an added feature to free spins, which we’ll cover later. And sticky wilds are very beneficial because the wild symbol helps you form wins on multiple turns, rather than just for a single spin. Scatter symbols can trigger wins, free spins, and/or bonuses from anywhere on the reels. Furthermore, these don’t need to appear in a specific pay line to help you win. Scatters are often associated with triggering free spins and bonuses. But they can also offer multipliers and deliver their own special payouts. You bet $1 total with coin size, pay lines, and coins per line included. You get 3 scatter symbols, which offer a 5x prize. Your payout is $5 (1 x 5). A multiplier enhances normal prizes. You can earn multipliers as a result of a scatter symbol (discussed above) or special features like rolling reels (covered later). Whatever the case is, multipliers can give your winnings a big boost. Just like the name implies, free spins give you chances to win without having to risk money. Free spins are normally triggered by a special scatter symbol that must land 3 or more times anywhere on the reels. Much like free spins, bonus rounds are triggered by a scatter symbol landing 3 or more times on the reels. Select whether a card suit will be red or black. Catch golden ingots in a cart as they fall from the sky. First-person shooter game against Wild West outlaws. Select spaces to reveal prizes. Spin a wheel to determine your bonus payout. As you can see, bonus rounds add a unique touch to slots that you can’t get by simply spinning the reels. Progressive slots take a small percentage of every bet that’s made to seed a jackpot. The progressive jackpot continues growing until somebody wins it. The size of the jackpot depends upon the chances of winning and the game’s popularity. Combining a popular game with long odds of winning makes for a big potential payout. Landing specific symbols 5 times in a pay line. Winning through a bonus round. Winning randomly. In this case, the game randomly decides when the jackpot hits, regardless of bet size or the symbol combination. You get a winning combination. The symbols from this winning combo disappear. Symbols fall from above to take the disappearing symbols’ places. The replacement symbols have the potential to form new wins. The obvious benefit to rolling reels is that you can continue getting more wins within the same turn. Oftentimes you’ll get an increasing multiplier with each consecutive win too. Typically, you form slots wins by getting symbol combinations in active pay lines. For example, landing 3 wizards in a pay line might pay you 5 coins. All Ways Pays slots are different, though, because you can form wins when matching symbols are in adjacent reels. In other words, the symbols don’t have to be in a specific pay line so long as their reels are touching. These are called “243 Ways” slots because you have 243 ways to win during a spin. “720 Ways” slots are the same way because they pay as long as symbols are in adjacent reels. But the key difference is that these slots pay left to right and right to left. This differs from both traditional slots and 243 Ways slots because they only pay right to left, beginning from the leftmost reel. The great thing about All Ways Pays slots is that they give you so many chances to form winning payouts. But the downside is that the minimum bet usually ranges from $0.25 to $1.00 per spin. Some players won’t have a problem with this. But low rollers may not feel comfortable betting this much per spin. Most online casinos only had download software up until the late 2000s. But the explosion of consumer mobile devices caused many casinos to diversify. Now you can enjoy internet slots through a variety of methods. 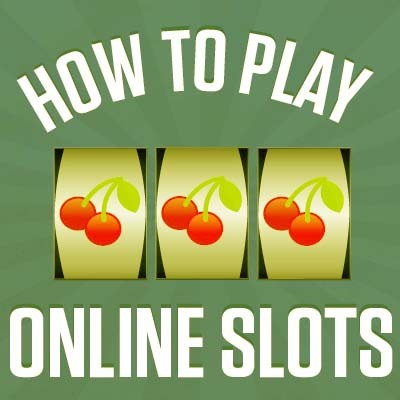 That said, let’s go over the different ways that you can play online slots. When internet gaming launched in the mid-1990s, all casinos featured download software. Today, many casinos have gone away from download packages in favor of Flash. But you can still find some casinos that make you download their software to play. The upside to this is that the software is reliable. The drawback is that it’s time-consuming to download the software and install the package. This is why most casinos have transitioned towards Flash. Adobe Flash lets you play online slots directly through your browser. In some cases, you don’t even need to create an account because the games are immediately available for play. The big advantage to Flash is convenience because you don’t need to download or install anything. The downside is that casinos with download software and Flash offer fewer games through the latter. Casinos began experimenting with mobile compatibility in the mid-2000s. But it wasn’t really until the early 2010s that mobile slots began taking off. Now almost every online casino lets you play slots through your smartphone. This is an extremely handy way to play when considering how many people have smartphones these days. The vast majority of internet slots are also available through tablets too. Tablets are nice because they’re mobile, yet they offer you a larger screen than smartphones. The main drawback to tablets is that they’re not small enough to fit into your pocket. This means that unlike phones, you must carry tablets around or put them in a bag. What’s great about the slots world is that you can enjoy games through both free and real money play. Here’s a quick look at the process of playing both versions. Almost every online casino lets you play free slots at their site. The reason why is because they want you to be able to try out games in hopes that you’ll eventually make a deposit. This is obviously to your benefit because you can play fun slots and make sure that a casino’s software is bug-free and avoids crashing. Furthermore, you can see what slots you like before spending any real money. Most mobile casinos require that you create an account before playing. Many Flash casinos are the same way. But you’ll also find Flash casinos that don’t require you to fill out an account before playing free slots. If your country is eligible for real money play at the casino. Provided everything checks out with the banking, you’ll be good to go with your deposit. Also remember to set your preferred betting options before playing any real money slots games. The obvious reason why is because you don’t want to overextend your bankroll by having the betting options too high. Playing internet slots is easy once you understand the basic playing process along with the options. It also helps tremendously to know the different available features. This is especially the case when it comes to rolling reels, sticky wilds, bonus rounds, and All Ways pays. The other side to playing slots is knowing how and where you want to play. As we covered earlier, you can play both free and real money slots. Free games are perfect for trying out different slots, see our list with popular free slots, while real money play is good when you’ve found the perfect casino. Find best online casinos here. It’s also nice that you can enjoy slots through a variety of means, including Flash, download software, smartphones, and tablets. With so many online slots games available these days, you’ll have no shortage of options when looking for fun games. And keep everything in mind that we’ve covered here when you do find slots worth playing.